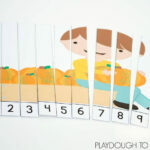 Activities for ages 2 to 4. 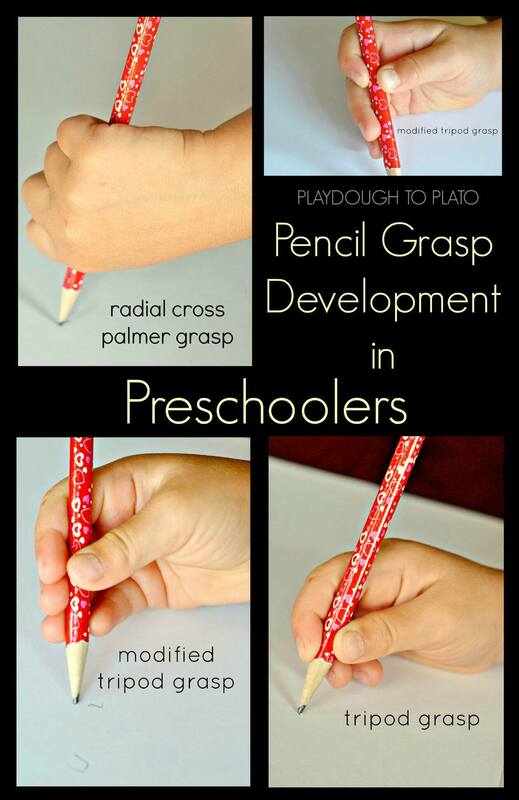 Pencil grasp development in preschoolers is a complex topic. Acquiring the correct pencil grasp is one of the most important physical skills children develop and most of that takes place during the preschool years. Children transition from holding a pencil with a very crude grasp to something that nearly resembles a more advanced, adult-like hold. This is the second post in a series of three where I go in depth about pencil grasp development. Yesterday, I shared how baby’s first grasps develop into the beginning pencil grasps common for toddlers. Today is all about how preschoolers transition from those common grasps used by toddlers into a grasp that is more developed and allows more control. Finally, tomorrow I will share what a proper pencil grasp looks like and when parents should begin to worry about their child’s pencil grasp. Between two and three years of age, a child’s pencil grasp will transition from the cylindrical grasp (this fisted, whole hand grasp) into the radial cross palmer, where the fingers are all pointed down toward the paper, rather than the palm. All fingers and the thumb are still utilized in the radial cross palmer grasp, however there is less support from the palm and slightly more pressure on the fingers and thumb. This is the beginning of what looks likes a traditional pencil grasp, where the control shifts from the whole hand and more to the fingers and thumb. Many toddlers as young as two years will begin experimenting with the digital pencil grasp, and will sometimes flip flop between it and the palmer supinate grasp I wrote about yesterday. 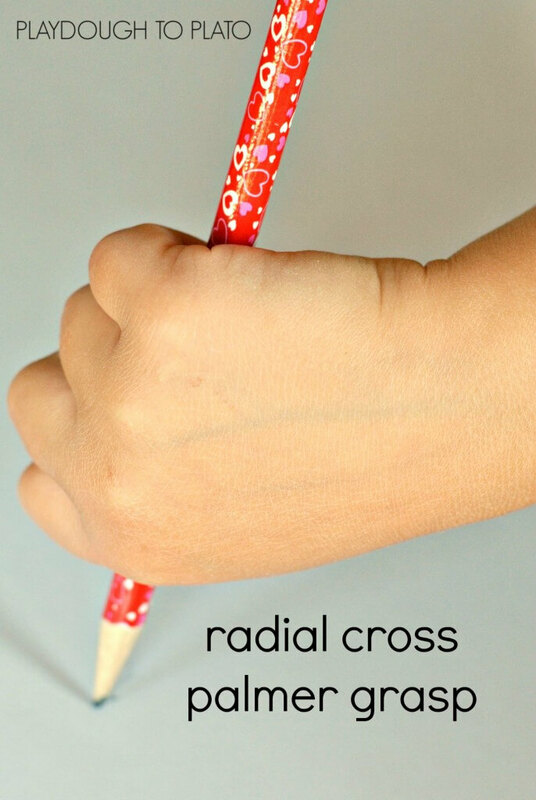 While most children make use of the radial cross palmer grasp during those early preschool years, between two and three years old, some children may continue to use this grasp when they are four. Parents may be inclined to worry at this point, and a discussion with a pediatrician or occupational therapist may be helpful. However, parents should never force their child to use a pencil grasp that is uncomfortable for them. That may cause bad habits to develop, which will make writing more difficult in the long term. Instead, parents should offer their child a variety of fine motor activities to strengthen the fine motor muscles in the hands and wrists. 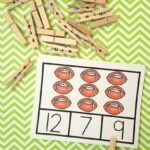 Some fine motor activities, like threading beads or lacing cards, will exactly mimic the same grasps as holding a pencil. By the time children become preschoolers, they transition into the modified tripod grasp. With this grasp it is not uncommon for children to use the entire pad of their fingers for support, rather than just the tips. They might try to grip the pencil with unnecessary strength. In addition, in the modified tripod grasp children use the ring and pinkie fingers for added support on the pencil itself, rather than having them tucked under the pencil. With the modified tripod grasp, the arm moves very little, as the wrist and hand control most movement in the writing process. 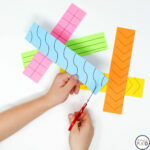 This added control allows for the child to make more deliberate lines when drawing, such as completely closed circles, making squares with four obvious corners, or making an “x”. And these are all skills your child’s pediatrician may look for at a check-up. 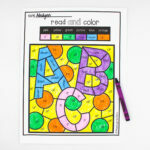 Because of this added control children may also begin to make more recognizable pictures in their drawings, such as a person drawn up of a circle, square and lines for arms and legs, something included in kindergarten screenings. Making drawings like this are an excellent way to develop writing skills. Doing so will make the transition to formal letter formation in kindergarten easier. 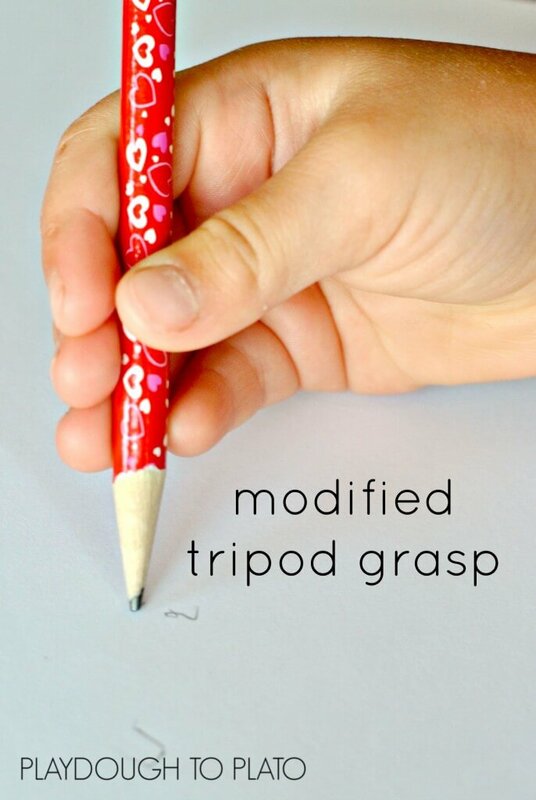 While the modified tripod grasp is close to the targeted pencil grip that is recommended by occupational therapists, it is not the same, and therefore a child who consistently uses the modified tripod grasp beyond what is developmentally appropriate may experience fatigue and other side effects while writing. Correct pencil grasp becomes increasingly important as a child nears formal schooling where more writing will be required. Again, exposure to various writing and art materials will improve pencil grip, as will fine motor activities that do not require a pencil and paper. 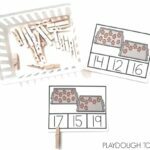 Activities like popping bubble wrap, squishing playdough, and twisting nuts onto bolts will increase the strength of fine motor muscles and will thus have a positive impact on pencil grasp development. Find out what a correct tripod and quadraped pencil grasp looks like, why occupational therapists and pediatricians recommend those specific pencil grasps, and when parents should begin to worry here. Please note that I am an experienced preschool teacher, not an occupational therapist nor a pediatrician. This information is provided to you via my own research. If you have questions or concerns, please direct them to the appropriate specialist. Sarah is an educator turned stay at home mother of four. 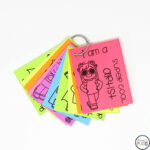 She has taught a wide range of levels, from preschool to college. 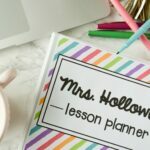 She blogs at Stay At Home Educator, a website dedicated to providing creative activities and tools for teaching in early childhood. She loves Krav Maga, mountain biking, and cooking. 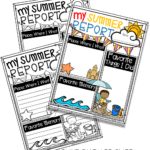 See more over on Stay At Home Educator. Do you suggest correcting the child? And if so at what age I teach 3-5 year olds. I have a now 5 year old in my preschool classroom that still uses the modified tripod grasp. I have given her a sponge to hold with her ring and pinky fingers to help her “remember” the correct grip. But, when she does not have the sponge, she always goes back to the “wrong” grip. She has a hard time cutting too, Any more suggestions to get her grip right before she goes to school? We have several family members that are left handed or ambidextious. My grandaughter is 5 and still uses both hands to hold her silverware. She hasnt figured out which is her dominate hand and its slowing down her progress with writting. Any suggestion how we can help her?